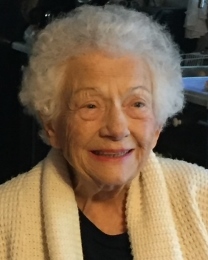 Elsie Cowan Cater, 93, died Tuesday, Nov, 28, 2018. She is preceded in death by her husband of 54 yrs, Harold Cater, parents, brother, two sisters and a grandson. She is survived by her sister Leoncie Whaley, Douglassville, Ga., many niece and nephews and their children and grandchildren . The Caters moved to Fort Myers in 1965 with their children Richard H. Cater (Linda), Montgomery, Ala., Sue Ellen Watford, Fort Myers, Don Cater, Fort Myers, LouAnn Campbell (Bill), Tampa, FL. Elsie’s greatest joy on earth were her children, grandchildren and great-grandchildren. Grandchildren, Chad Cater, Austin, TX., Amy Campbell Haney and Bethany Campbell Brewer (Noah), GA., Emily Campbell MacKenzie (Jason), Tampa, FL, Liam (Rebekah) Campbell, Costa Rica, Dennis Cater, Fort Myers. Great-grand children, Ava, Jake, Ella, Lyla, Will, Daniel, Elise, Caleb, Reagan, Parker. Visitation will be Thursday, Nov. 29 at Harvey-Engelhardt on Colonial Blvd, Fort Myers from 4pm to 6pm. Visitation in Douglasville, GA at Hightower Memorial Chapels, Saturday December 1st from 10:00 to 11:00 A.M. Graveside services and burial will follow at 12:00 P.M. at Westview Cemetery, Atlanta, GA.